Can you paint powder coat and anodized? What if it get’s scratched? How long will the paint finish last? 1. What is Aluminium Window Restoration? 2. What GUARANTEE do I receive? ANSWER:This is the most straightforward, plain-spoken, Comprehensive Money Back 7 year paint finish guarantee in writing against bubbling, peeling or flaking! Go HERE to watch the video on our Guarantee. We have restored window frames for hundreds of satisfied clients over the last 7 years. 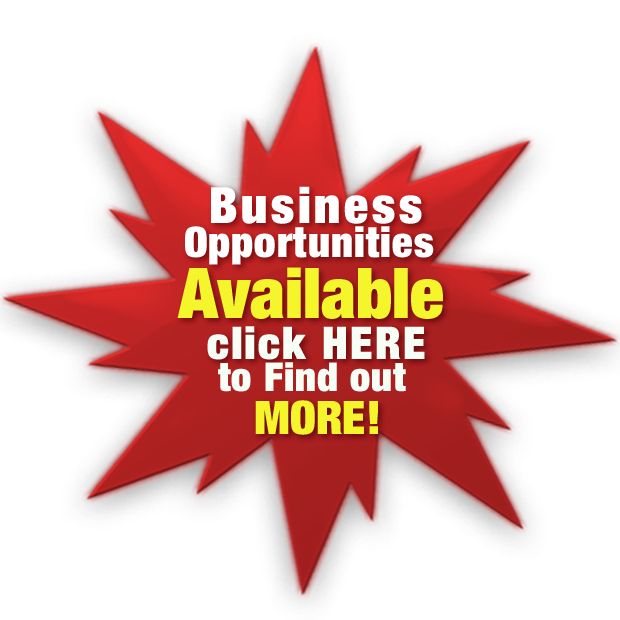 Go HERE to watch client video testimonials. Clients are so happy that they are prepared to say so on video. And we have done what no other painter will do- provide in writing the World’s only 7 year Money Back guarantee on our paint finish against bubbling, peeling or flaking. When Window Revival restores your old aluminium windows, they use the very best quality two pac paints and primers and when combined with their 23 point quality control check list of systems and procedures you can be assured of a quality finish that looks spectacular and is durable and long lasting. 3. What is better Painting or Replacing? 4. Can I paint my own windows? ANSWER:Doing projects around the home if you have the time can be rewarding and save you money, if you don’t put a value on your time. So yes, you can paint your own windows- as long as you’ve got plenty of time and patience. It takes two of our guys that restore windows professionally every about a week to paint a house with 20 openings. Go HERE to watch a step by step Demo Video that shows you how we operate. ANSWER:In 80% of onsite visits, I have been able to save clients thousands of dollars over the replacement option, because we restore your windows in place- so there’s no damage to surrounding finished surfaces from ripping your windows out. Go HERE to watch a video of Nick Belous, a Primary school teacher in Rochedale, say how he saved at least 65% of the replacement cost. There are situations where the cost savings of painting versus replacing are minimal. For example: if you’ve already gutted your home with the intention of replastering, and you want to change the colour of both sides of the windows frames (inside AND out), and your old windows are badly corroded, and the glass is in poor condition and to top it off, the rubbers are brittle and perishing! We would suggest you push your windows out and get new ones. Each job has its own unique set of circumstances, that’s why all site visits are conducted by a trade supervisor and not a salesman. 6. Can you paint powder coat & anodized? ANSWER: You can paint both surfaces to produce a durable long lasting surface. Window Revival, in conjunction with Dulux’s specialist coating technical department, helped write the specifications for painting aluminium window frames. Go HERE to watch the video on how you can paint both anodized and powder coated surfaces. We offer in writing the World’s only 7 year Money Back paint finish guarantee against bubbling, peeling or flaking! Go HERE to watch the video on our Guarantee. So, you can rest easy with absolute peace of mind, knowing that you can enjoy the new colour of your windows for many years to come with a Window Revival restoration- regardless of what surface you currently have. 7. Will there be overspray? 8. How good is the finish? 9. Will I see paint brush marks? 10. How durable is the finish? ANSWER: Most people are really careful around windows, because glass is fragile. So, it is a rare occurrence that the paint on the window frames gets scratched. However, if your kids accidentally throw down their bikes against the window frame and scratch the paint, it’s really not a problem, because we always leave a sample bottle of the paint at the end of the job. Using a small artist brush and the paint, you can easily touch up any scratches. However, if you get broken into and the damage is more than a small scratch, simply call our office and we’ll schedule a time to pop by and restore the damaged section. If we can schedule the job whilst doing other work in your area, the cost will be nominal. Go HERE to watch the video on what if my windows get scratched? Keep in mind, that to remove all the risk of doing business with Window Revival we offer in writing the World’s only 7 year ‘no weasel clause’ money-back guarantee against bubbling, peeling or flaking. Go HERE to watch the video on our Guarantee. So, you can rest easy with absolute peace of mind, knowing that Window Revival can produce a highly durable paint finish in the colour of your choice that you’ll be able to enjoy for many years to come. 12. My windows don’t open, is it worthwhile restoring them? ANSWER: It depends on the number of finished surfaces surrounding your windows that you don’t want damaged. The repair cost to surrounding surfaces can add tens of thousands of dollars to the replacement cost, making aluminium window restoration the best value solution. Go HERE to get info on when it’s best to restore, rather than replace your windows. You see, often it’s not the condition of the window that determines whether windows are worth restoring, because we have restored some of the most ancient, barely functional windows you’d ever come across, so that they look and work like new. And to remove all the risk of doing business with Window Revival, we offer clients in writing the World’s only unconditional 7 year ‘no weasel clause’ money-back guarantee against bubbling, peeling or flaking. Go HERE to watch the video on our Guarantee. 13. How reliable is your service? 14. How long will the paint finish last? ANSWER: We have restored the aluminium windows for hundreds of clients over the years, starting off with the windows on my home seven years ago -they still look simply fantastic. I replaced one window in my bathroom with a new large bay window so we could enjoy the view from our spa bath and that window looks older and more faded than the ones we painted! Go HERE for more information on how long your paint finish should last. As they say, preparation is everything in painting. You’ll be shocked at how much preparation our guys go to ensure your windows look simply incredible. And that’s not to mention the mechanical overhaul we can carry out to make your windows glide open with ease. We are so confident about the quality and durability of the job we’ll do for you that to remove all the risk of doing business with Window Revival, we offer in writing the World’s only 7 year ‘no weasel clause’ money back guarantee against bubbling, peeling or flaking. Go HERE to watch the video on our Guarantee. 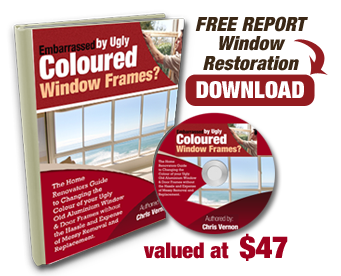 You can expect to enjoy the look of your windows in the colour of your choice for many years to come! Our ability to consistently produce high quality durable finishes for our clients is made possible because of the specific 23 point quality control checklist of systems and procedures we have designed, developed and mastered which we rely on day in day out to run our business. It also helps to have the very best staff. And in that regard we are very fortunate because as a team we have combined experience of 75 years.